Ten June: Did You See? 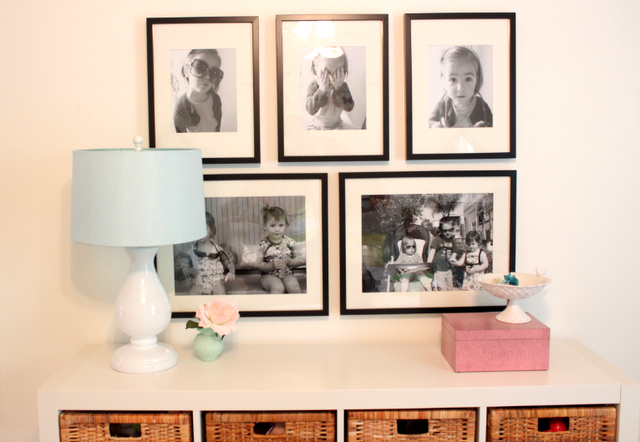 Have you seen these adorable projects around the blog world lately? I've been bookmarking my little heart out for the last few weeks (actually, some of these are a month or two old, but I heart them!) and just had to share all of the amazingness with ya'll. So much inspiration to be found out there... thanks for sharing, ladies! 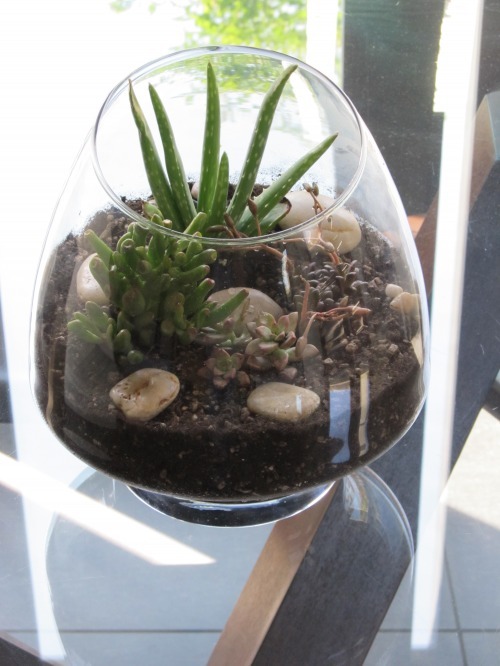 What fun projects have you seen out there lately? Leave us a link in your comment if you'd like to brag on a fellow blogger and their amazing work! Great projects! Loving that bar cart. Thanks for the mention and I can't wait to look at the other projects you shared! Great links! I'll have to go check them out! Thanks so much for including my project! I am off to check out the rest. These are fantastic. I just love the updates's in Katie's room. That rug is fantastic. These girls know how to pull off a project. 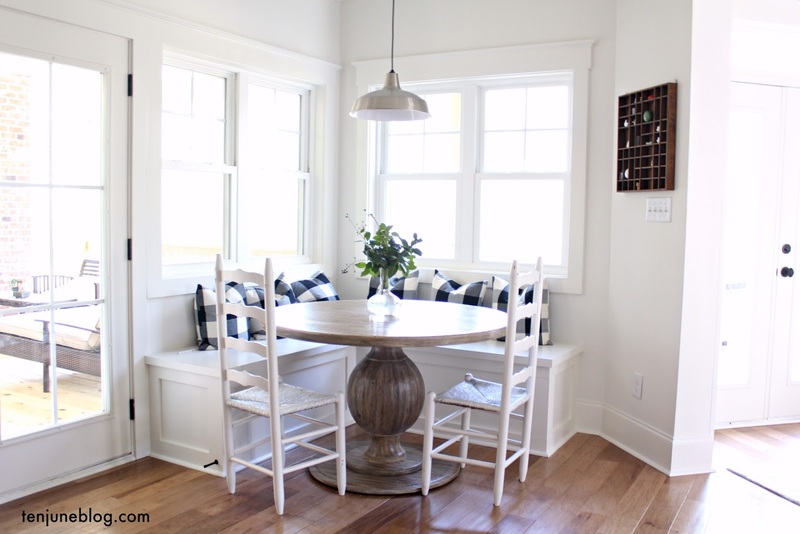 That potting bench is so adorable! And I love the cobblestone flooring below it! That craft room is to die for!! I love the potting bench! And of course Kim and Cassie's DIY's were awesome! i am also totally in love with the monogrammed cart as well as carmel's potting bench. awesome features! I just love Katie's living room, it's so open and bright! Thanks for the shout out girl! I love anything with a monogram - you know if you like it than you should'a put on monogram on it! Although that's not as catchy. 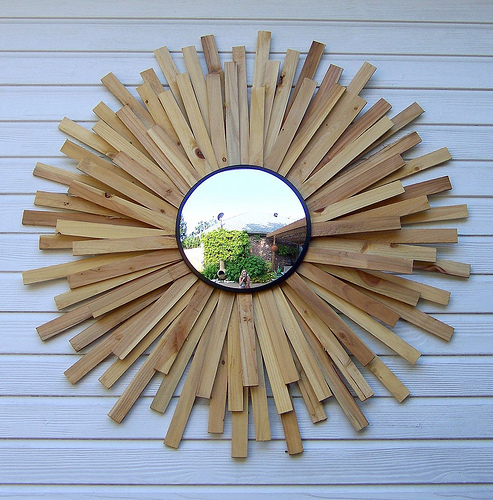 ;) Love Cassie's outdoor sunburst mirror too! DOH! I love that cart and potting bench. Loving all of these! Especially Carmel's project. SOO perfect. Eeeek! I am loving all of these projects! How fabulous are the windows in that living room? Sigh. Love it! YES! Love all of these, so fun. Just discovered your lovely blog and what a post to start with!! 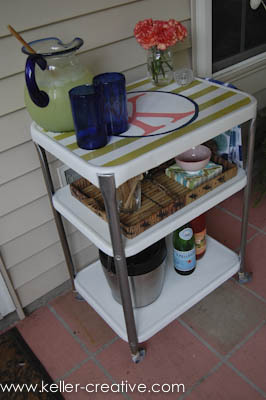 so much inspiration, I love the beverage cart! 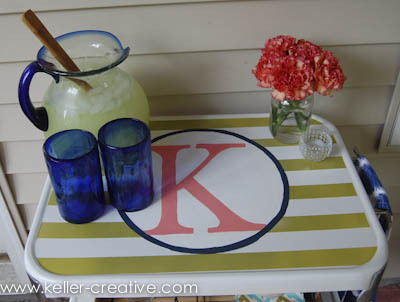 Love that monogrammed bar cart!! So much inspiration! Makes me eager to take on a new project! That bar cart is so cute! why thank you, my dear!!! 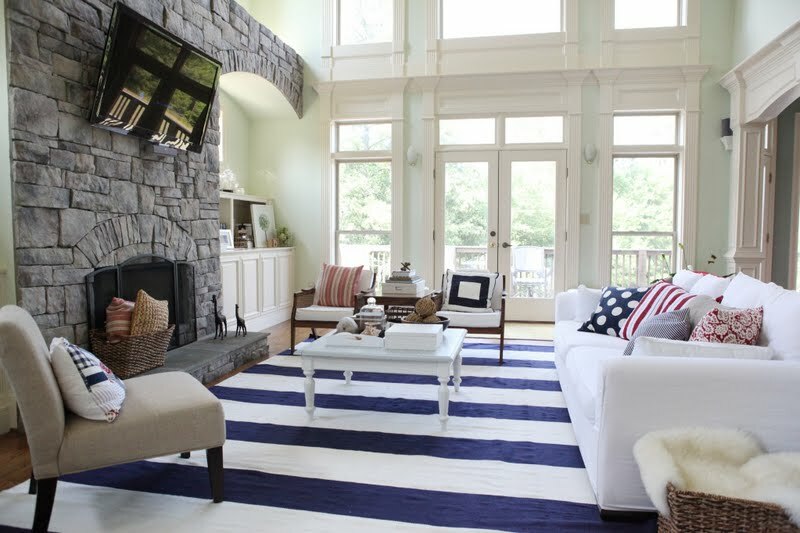 I have always loved Katie Bower's striped rug that you featured....she has since changed it but I still love the bold navy and white stripes.